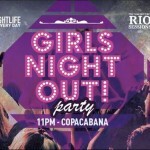 Thursday’s Rio Nightlife Pick – The Girls Night Out party returns to New Mariuzinn Copacabana with DJs Guga Fernandes and Bruno Lima spinning the best of house, deep house, trap, hip hop, funk chic, Latin Rhythms and World Music. There will also be a premium open bar for women until 12AM and caipirinhas will be free until 12AM. Additional promotions will include two-for-one specials on beer, caipirinhas and Cuba Libre all night long. Tonight at Audio Rebel in Botafogo, Cadu Tenório and Thomas Rohrer will present their new album Fórceps and Cássio Figueiredo will present the album Presença. The Veneno party returns to Casa da Matriz tonight. For over ten years the weekly events, filled with good music and beautiful people, have helped start weekends early in Rio. Tonight will be no exception as DJs Tulio Araujo and Beto Artista will spin the best of rock and pop. Tonight on the second floor the venue will host the Veneno Disco Clube. Prior to the event, participants can battle by submitting Spotify playlists in the hopes of winning free entrance for them and their friends and for R$150 during the party. 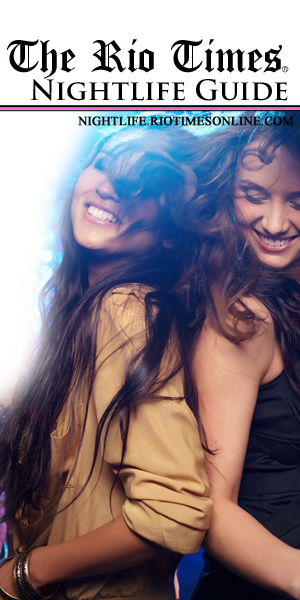 Tonight Bem Brasil Entretenimento will once again present the Girls Night Out party at the New Mariuzinn Copacabana. Caipirinhas will be free until 12AM and additional promotions will include two-for-one specials on beer, caipirinhas, and Cuba Libre all night long. There will also be a premium open bar for women until 12AM. During the party, DJs Guga Fernandes and Bruno Lima will spin the best of house, deep house, trap, hip hop, funk chic, Latin Rhythms and World Music. Tonight the Cabaret Lounge in Botafogo will host Quinta (Thursday). DJ Luciano Jacaré will spin the best of rock and pop rock and promotions will include two-for-one specials on Heineken and glasses of sparkling wine from 6:30 PM to 9:30 PM. Beginning at 7:30 PM, singer Flávia Dantas will start the night at Rio Scenarium by performing her reinterpretations of works by Tom Jobim, Vinícius de Moraes, João Donato, Dorival Caymmi, Ary Barroso, Chico Buarque, Noel Rosa, and Cartola, among others. Singer Késia Estácio will follow at 10:30 PM will the best of MPB, samba, soul, and pop including her reinterpretations of works by Elis Regina, Tim Maia, Roberto Carlos, Clara Nunes, Djavan, Milton Nascimento, and Lulu Santos, among others. The Salsa and Forró party is back at Lapa’s Leviano bar tonight and that means it’s time to dance. The group Mano a Mano will start things off at 8PM with salsa and merengue on the first floor and then Trio XXXXX will perform on the second floor before Marcelo Mimoso . Additionally, Lucas de Moraes will perform during happy hour and DJ Angolano will spin salsa and DJ Léo Araripe will spin forró during show intervals. Adriano Serafim will start of the night tonight at Carioca da Gema and Moyseis Marques will follow with the best of samba forrozado, forró sambado, marchinhas, and more. It’s time for the best of classic rock as the band Dark Blues performs live at Lapa Irish Pub tonight. If you want to hear great live music while drinking some quality imported beers in a welcoming environment with a friendly crowd, this the place to go. Tonight the 79 Club event returns to Saloon 79 in Botafogo with the band SeteNove performing live and welcoming Figueroas. Additionally during the night, DJs will spin the best of national rock before and after the shows. Saloon 79 -House opens at 7PM; SeteNove is scheduled to begin at approximately 9:30 PM; and Figueroas will begin at approximately 10:30 PM. This American-owned restaurant and bar on Copacabana Beach is a great place for food, drinks and entertainment. Additionally, Tony Boka will be playing at Mab’s Mondays through Saturdays from 6PM to 10PM. Boka is known for his varied repertoire that always pleases the crowd. Restaurante Mab’s – 9AM to 4AM everyday. Know for its cold, specialty beers, and great atmosphere, The Lucky Screw American Irish Pub also hosts live music every night of the week except for Wednesdays. With classic pub games like darts and pool, Ipanema’s Shenanigan’s is always a great spot to visit. Happy Hour is dose dupla (two for one) on Thursdays 6PM-8PM. Tonight it’s time for live rock’n’roll at the Lord Jim Pub in Ipanema. Promotions will include two-for-one specials on Jagermeister. Next articleOpinion: Brazil’s Car Wash to be Whitewashed?